Little bodies and minds need tip-top nutrition to help them grow; Holle’s baby porridge range is created to give baby all those must-have nutrients during the weaning process. This is a wholesome rice porridge enriched with vitamin B1; perfect for babies aged 4 months and up. Holle baby porridge is easy to digest and packed with goodness, so it helps little tummies adjust to a mixed diet while being weaned off mom’s breast milk. You can prepare Holle Rice Porridge using dairy milk, water, breast milk or formula, and even add food oils and fruits to max baby’s daily nutrition. Holle porridges are ideal for babies starting a mixed diet (4-6 months and upwards). Stir 25g Holle Rice Porridge (4Tbsp) into 130ml warm breast milk. Leave to soak & cool to approx. 37°C before feeding. Do not heat the breast milk over 40°C, or the valuable nutrients will be lost. Boil 100ml full-fat milk & 100ml filtered water. Cool the mixture to approx. 50°C. 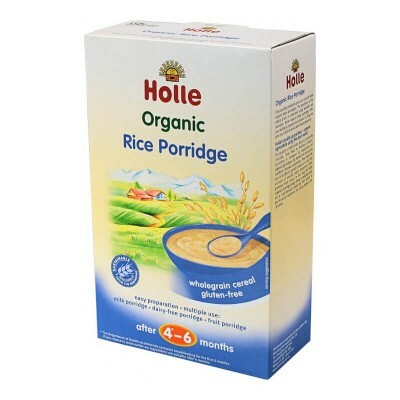 Stir in 25g (4Tbsp) Holle Organic Rice Porridge. Boil 200ml filtered water. Cool the mixture to approx. 50°C. Stir in 1tsp edible oil (eg. coconut oil) until you have the desired consistency. Prepare 170ml Holle Infant Formula, according to instructions. Stir in 18g (3-4Tbsp) Holle Rice Porridge. Boil 150ml filtered water & cool to approx. 50°C. Stir in 5 measuring spoons Holle Follow-On Formula 2. 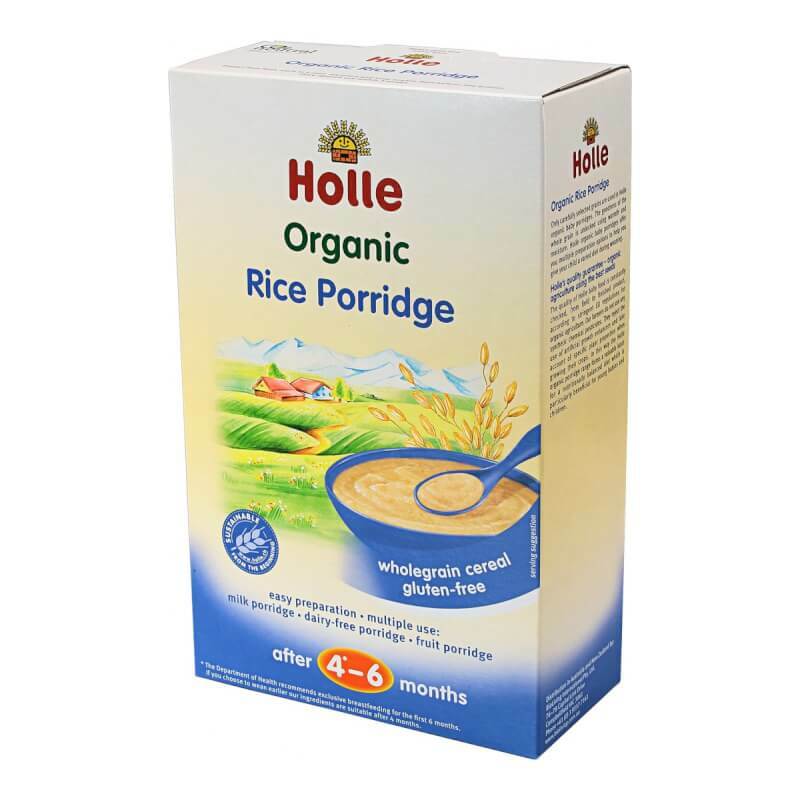 Stir in 18g (3-4Tbsp) Holle Organic Rice Porridge. Holle porridges are suitable for babies aged 4-6 months, according to your baby’s stage of development and individual needs. We recommend starting with a single-grain porridge. Do not give Holle porridge to babies under 4 months as a substitute for breast milk. Always prepare fresh Holle porridge. Do not use leftovers. Breast feeding is recommended exclusively for the first 6 months; if you choose to wean earlier, this porridge is suitable from 4 months.